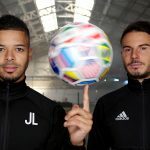 In “F2 Finding Football,” football skill pioneers Billy Wingrove and Jeremy Lynch (The F2) explore the beautiful game and unique pitches around the world in Argentina, Brazil, Mexico, Iceland, France, Thailand and more. The hosts and their guests take on adventures in every episode from creating their own version of a Japanese game show with Steve Aoki (DJ), making a Western movie in Hollywood with Blink 182’s Travis Barker (Blink-182) and much more. Additional celebrity guests in the series include singer and actress Becky G, EDM duo Krewella, rappers A$AP Ferg and Lil Jon, and Rock band Sigur Ros. “F2 Finding Football,” is produced by Whistle Sports. The series will premiere on the F2Freestyler’s YouTube Channel on June 13th, just in time for the World Cup. 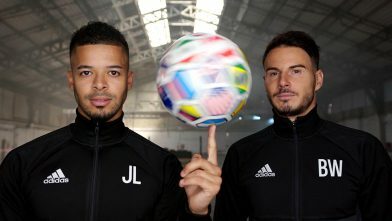 From kicking a ball through narrow alleyways of Rio de Janeiro’s favelas to The F2 mashing up trick-shots and tango in Buenos Aires to eating shrimp alive in Thailand, “F2 Finding Football” is a fusion of culture, music, community and sport. The first episode, premiering on June 13th, will be free for the public to stream as well as the second episode which will air soon after. The remaining episodes will be available by purchasing YouTube Premium, which will be available in the UK early this summer. “The Sidemen Show” is one half reality, one half drama, and three halves mayhem. The seven Sidemen brave experiences rarely seen in striking destinations across the globe, as they strive to conquer the elements with a variety of surprises along the way. “The Sidemen Show” is produced by Blue Ant Media stablemates: Los Angeles-based short- and long-form digital series producer Blue Ant Digital Studios and UK-based studio Antenna Pictures. “The Sidemen Show” will premiere and air on The Sidemen’s YouTube Channel. In the series, travel, sports and adventure fans alike can tune in to watch The Sidemen travel the world while being physically and creatively challenged by Steve Aoki, Bear Grylls, Jack Whitehall, Nicole Scherzinger, Steve-O, Kristian Nairn, Jme and more. The first episode will be free for the public to view and enjoy on June 18th. The remaining episodes will be available with an upgrade to YouTube Premium, which will be available in the UK early this summer.